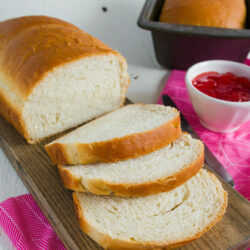 We love a good white bread recipe and this one is sure to please everyone. Who else loves fresh homemade bread, warm out of the oven, slathered with butter? Or toasted? YUM! 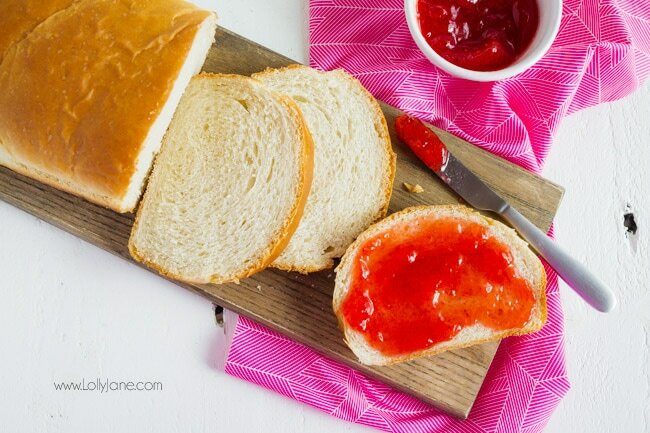 Your whole family will love this easy to make homemade bread recipe! If you’re on the hunt for the best homemade bread recipe, you got it! 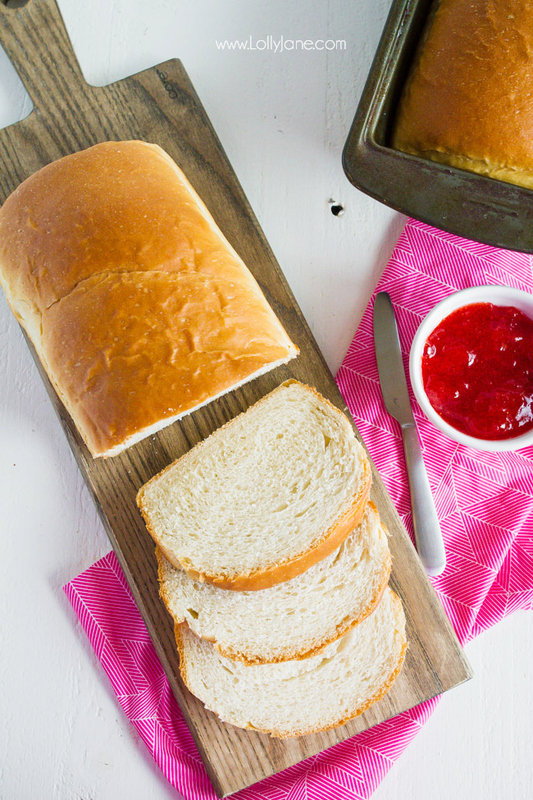 Of course we’re bias since it’s our sweet Nana’s simple quick bread recipe but it’s seriously a tasty homemade bread recipe, your family will also love it for generations to come! Visit more of our homemade bread recipes too! 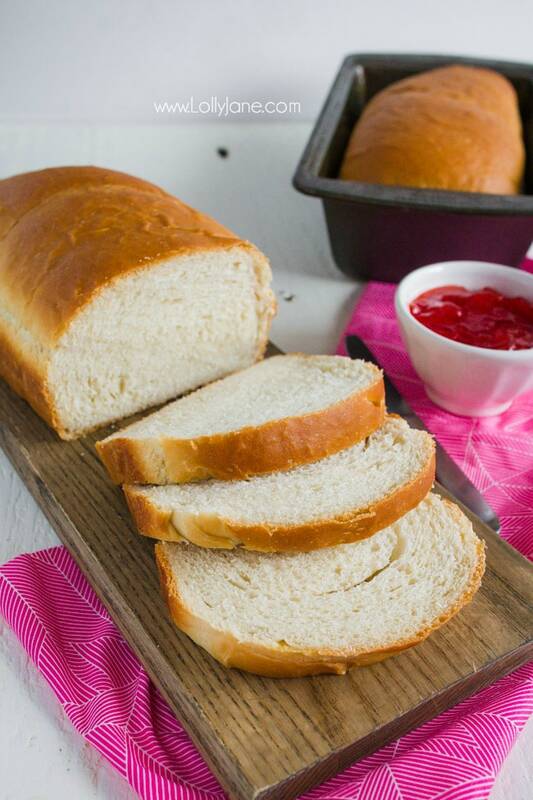 This easy to make homemade white bread recipe is just like grandma used to make! Your whole family will love it! Combine yeast, dry milk, sugar, salt and 4 c flour. Mix so that yeast is coated. Let is set for 20 mins to sponge, covered. Add 8-9 c additional flour. Knead well. Mold into loaves and put in pans to rise until they reach the top of the pans. Butter tops of loaves when done. 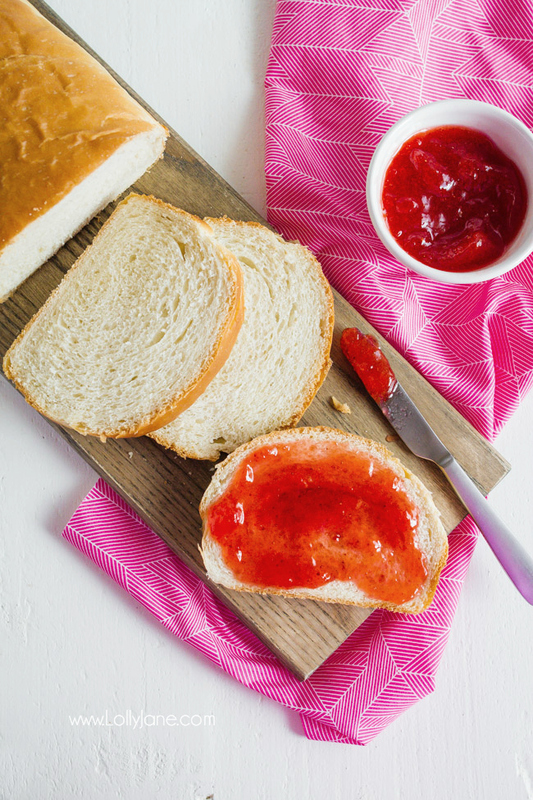 If you’re looking for homemade bread recipes with yeast, this is the one! Make sure your yeast is fresh, old yeast will kill your rise. When my mom was teaching me to make bread, she stressed the importance of letting your yeast rise long enough. We remember our Nana’s home smelling of fresh baked bread, her rolls were our favorite. We’ll share that recipe soon too, a fond memory of Sunday dinners with our dozens of cousins. Let us know if you make our Nana’s recipe, we know she’d love to see others enjoying it if she were still around. Such a yummy memory with our sweet grandma. 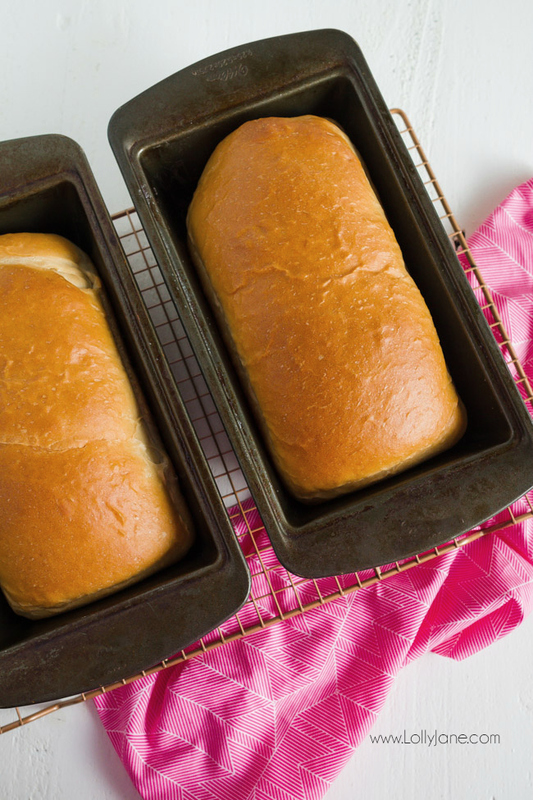 Please PIN so your friend’s can make our Nana’s soft and easy homemade bread recipe too!